Amethyst House provides residential Stabilization and Supportive Recovery services in a substance free environment to women who are 19 years of age and older. Trained staff are on-site 24 hours a day, 7 days a week and facilitate a structured program that supports women in their recovery from problematic substance use. They take a holistic approach to recovery focusing on the physical, mental, social, cultural and spiritual realms of each woman’s life. 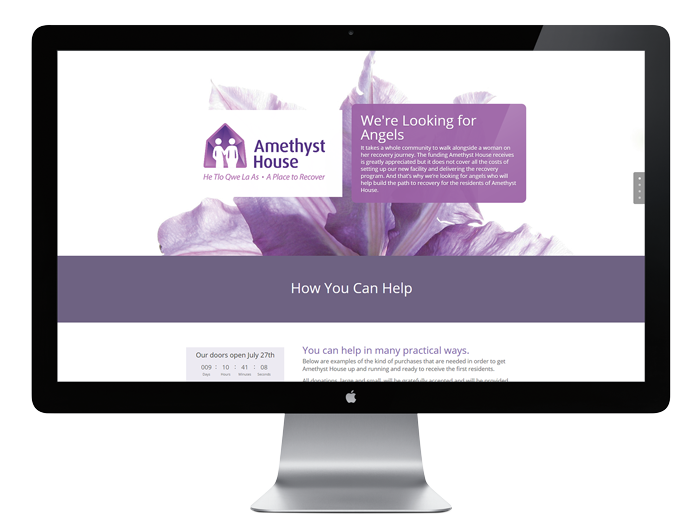 Amethyst House forms part of the services offered by the Comox Valley Transition Society, with whom we at Pod Creative have a strong professional relationship.